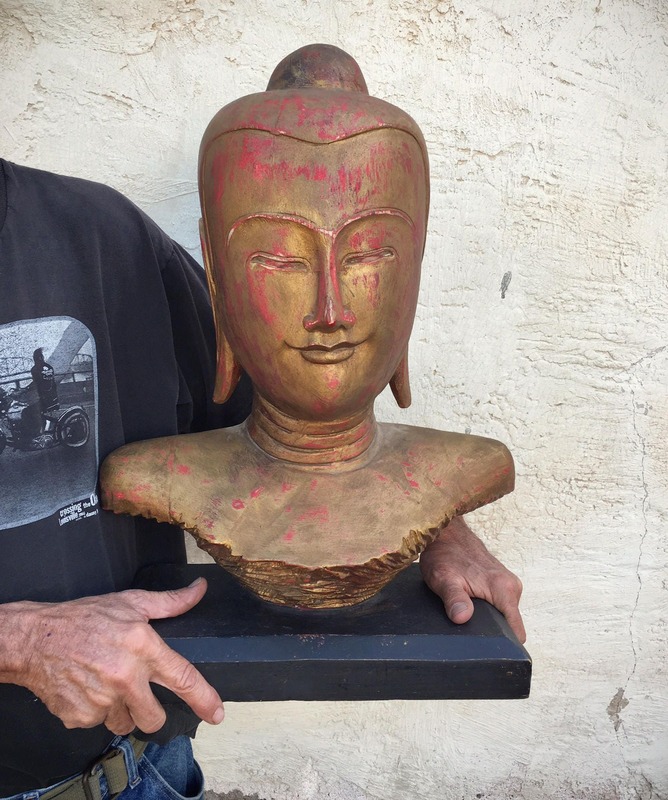 This AMAZING large wooden Buddha bust came to New Mexico via an antique gallery on the Gulf Shore. 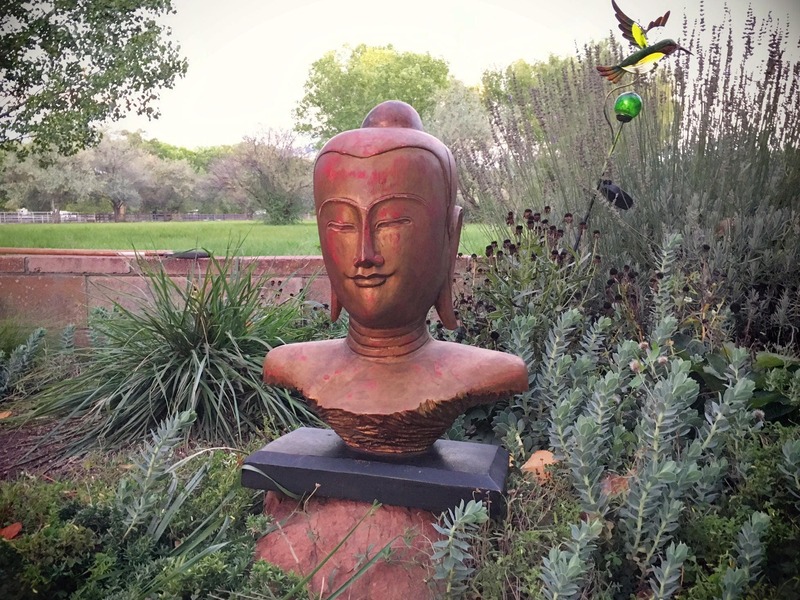 It has only been in the Southwest for about a year, was purchased from that gallery at least 20 years ago, and that the owner of that gallery was closing up shop and moving to San Miguel de Allende. 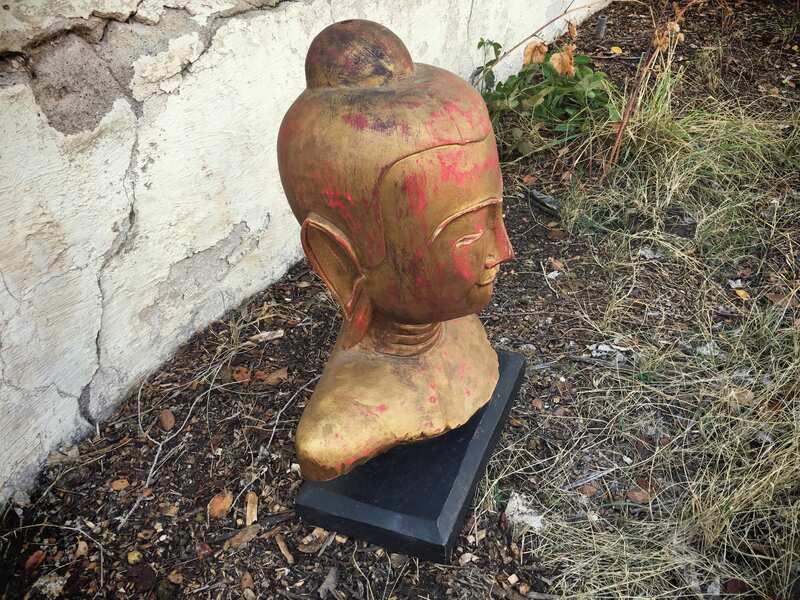 The piece is said to be from Thailand, and it does resemble to Ayutthatha style, but it also is similar to Shan gilt wood Buddha statues from Burma. 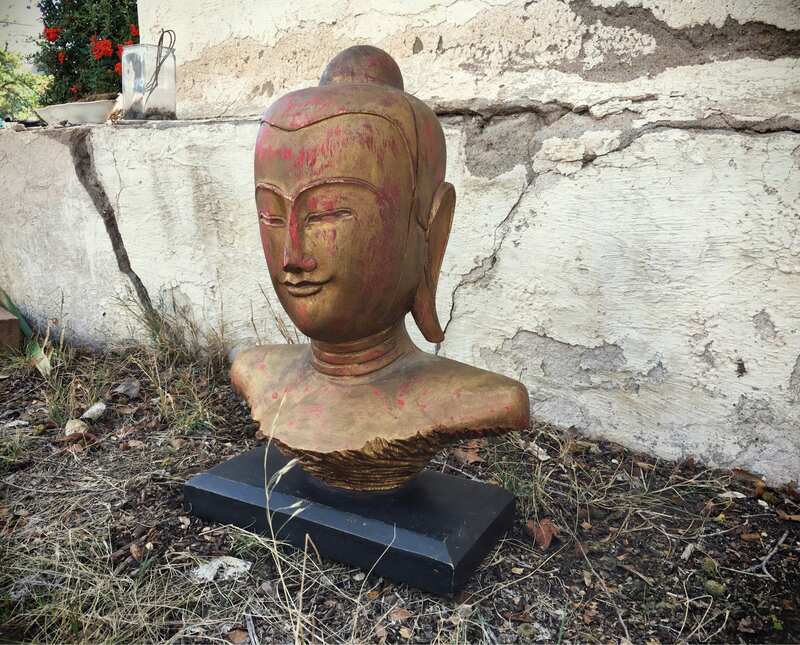 We know it is definitely older than the 20 years when it was purchased from the gallery but we do not know how old it is, whether it was a reproduction or an antique, and we don't pretend to be dealers versed in this region. 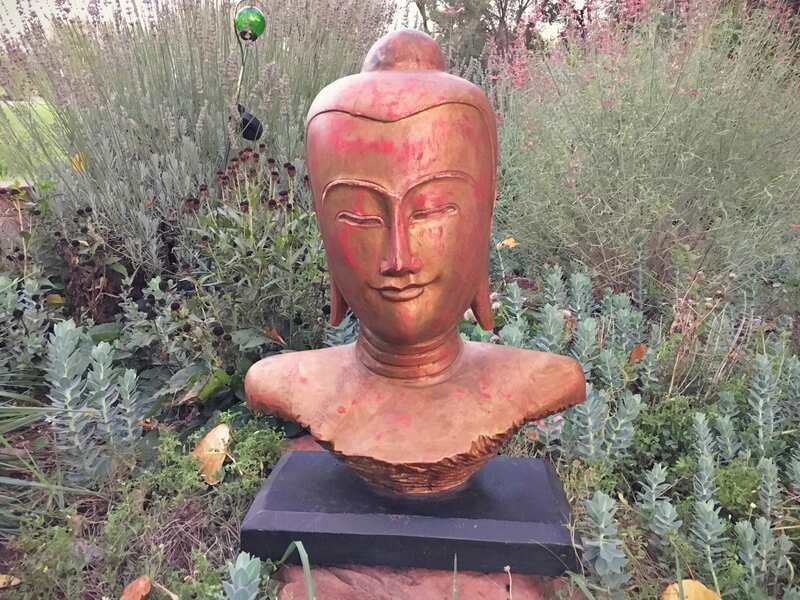 We do know that it is an amazing decorative piece even if a reproduction, as the Buddha's shoulders, neck, and head are all carved from a single piece of wood, then that bust affixed by screws to the black wood stand. 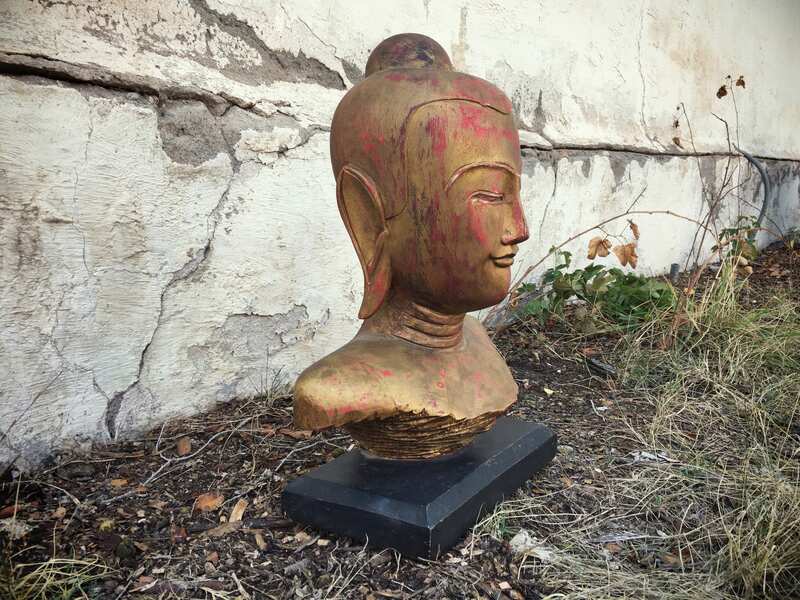 The bust is made of what appears to be a hardwood, gilt over red and black-brown, possibly dry lacquer or in that style. 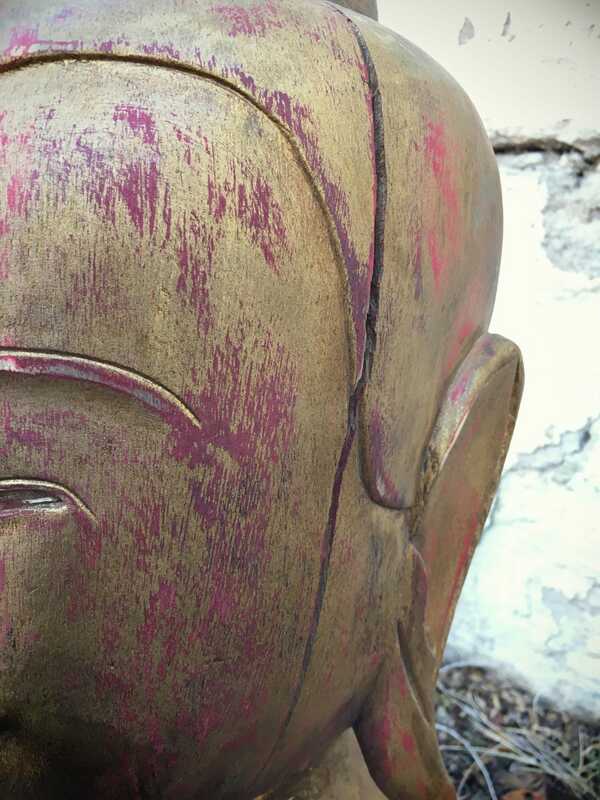 There is a large crack in the wood down the right side of the Buddha's head, which appears to be about 1" deep, likely due to the drying of wood once it was taken out of the more humid climate in which it was originally made. 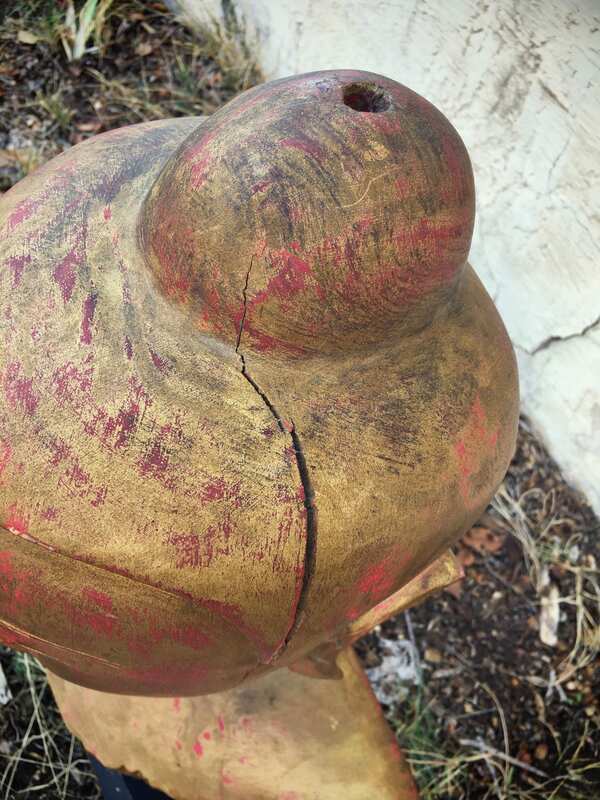 The piece is, however, quite stable and there is room and weight to withstand a deepening of the crack, should that occur. 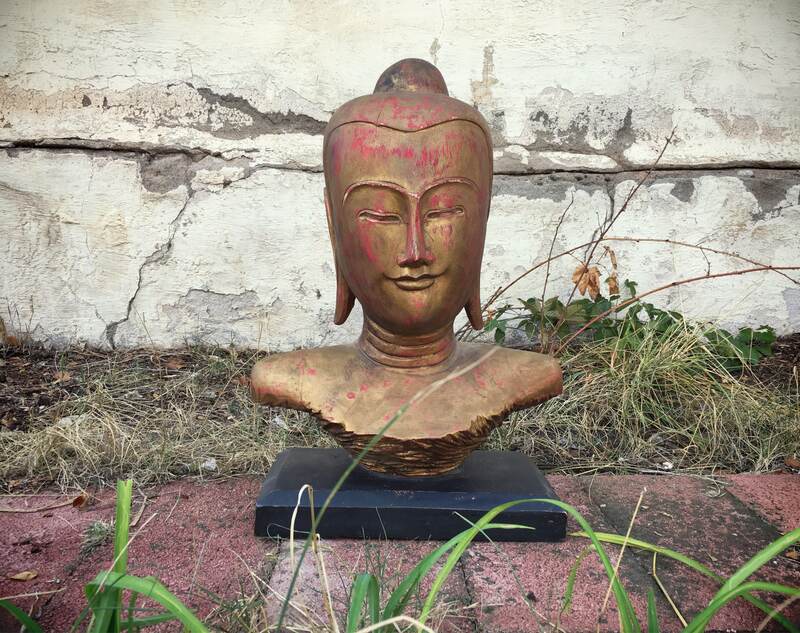 This piece is just over 22" tall, stand and all--the bust itself being just over 20" of that--by 16" across at the widest point (the Buddha's shoulders) and about 8" deep. 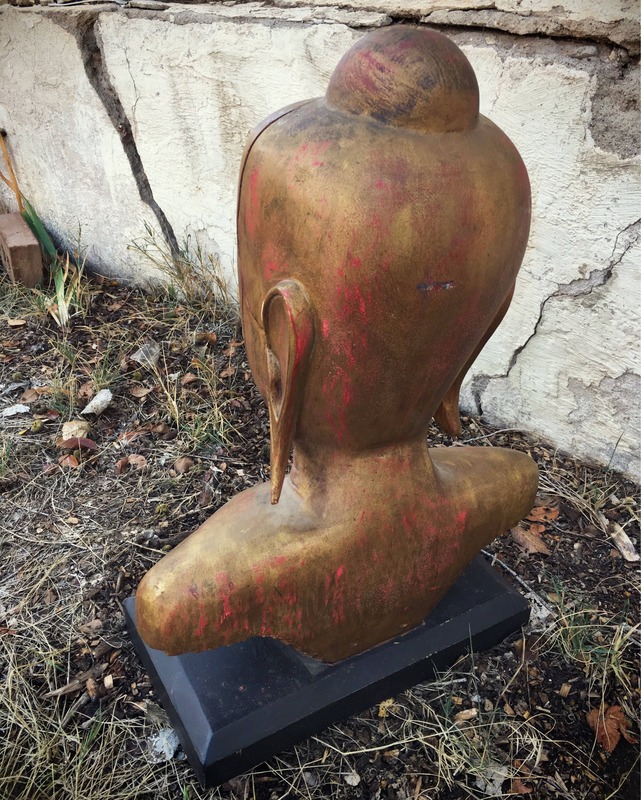 The stand measures 14" by 7-5/8", and is more narrow than the bust. Weighs over 18 pounds unpacked and will be double boxed for shipping. NOTE: Given the size, weight, and price, this item is only shipping within the United States.